Celine Dion has been THE face of Paris Fashion Week. Yes, there’s Frank Ocean, Kristen Stewart, other assorted cool people, but Celine—she’s been the charismatic, hands-in-the-air piece de resistance. She’s not afraid to show her emotion, for one, and also has her BFF backup dancer Pepe Munoz to rescue her from wardrobe malfunctions—chic!! Just as Vegas residencies are having a moment, so in fact, is Celine. It all started, apparently, in 2016 when she hired stylist Law Roach, dubbed the “internet’s fashion cupid”. He got his start dressing a then-14 Zendaya, who according to this Verge article, was looking for something to wear to a Justin Bieber premiere. His prowess and knack for picking just the right statement pieces garnered Zendaya fashion accolades and led to the stylist dressing Ariana Grande, Tiffany Haddish, and Anne Hathaway. The way Roach connected with Celine has tender origins. After losing her husband in 2016, Dion had been out of the public eye and looking for a way to re-enter the spotlight. What better way, it turns out, then in a look that’s just the right balance of showstopping, thoughtful, and fun. An outfit likely to be memeable, the right canvas for many, many Twitter/Instagram jokes, also doesn’t hurt. 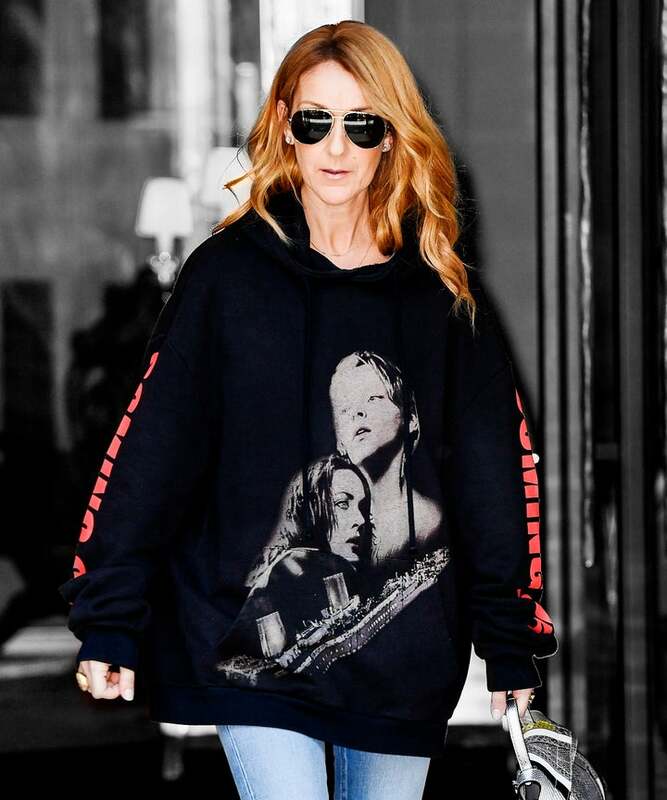 The 2016 “Summer of Celine” gave us the singer wearing a neon-green Balenciaga dress with thigh-high boots, a Vetements Titanic sweatshirt, and doing a soundcheck in denim-on-denim Off-White. And it really does. Luxury fashion isn’t a very approachable or easily navigable world for most people, and watching Celine enjoy herself, twirl around, and throw herself over cars gives me infectious fashion enthusiasm. Just watch her speechless reaction at the Armani Privé show when a sparkly floral dress appears on the runway. As GARAGE’s Rachel Tashjian captured in the tweet above, the singer freezes mid-conversation, her gesticulating hands suddenly halting, as she followed the dress down the runway. At the Valentino show, as Naomi Campbell made her first runway appearance for the label in 14 years, Celine wiped away tears as the show closed—of note, the designer chose to play “The First Time I Ever Saw You” by Roberta Flack, Dion’s first dance song with her late husband, René Angélil. And, while that surely played a role, the sheer black gown dreamed up by Pierpaolo Piccioli with tiered ruffles really was that good, and watching Celine react reminded me that caring is almost always far more interesting than the alternative.